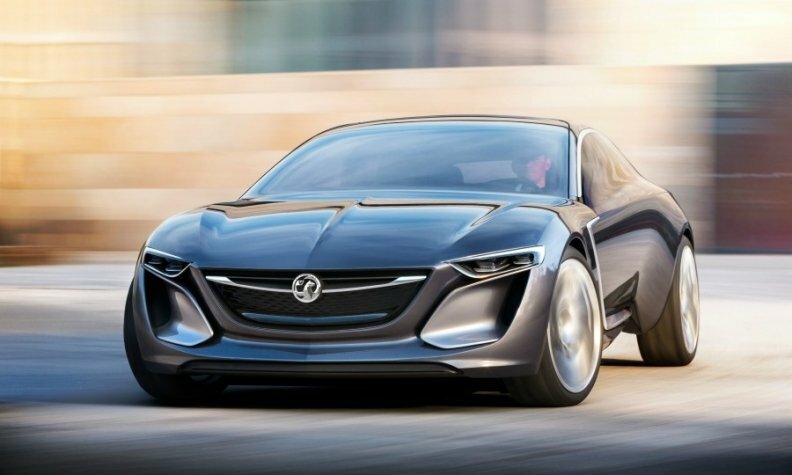 Opel is said to plan a flagship crossover using the name and styling details from the Monza concept unveiled at the 2013 Frankfurt auto show. Opel will focus on crossovers as part of its product push to boost sales and return to profit. "We will move more into crossover segments in general, because that’s where customers are going," Opel CEO Karl-Thomas Neumann said on the sidelines of the Geneva auto show last month. He declined to comment on reports that Opel plans to add a large crossover as a flagship model. The flagship will go into production in 2017 and start at 26,000 euros, slightly more than the Insignia mid-sized sedan, according to German magazine AutoBild. The replacements for the Meriva and Zafira minivans, both due in 2016, will both be styled as crossovers, Neumann said. Opel is developing the minivans with PSA/Peugeot-Citroen. They will be built on PSA platforms and use PSA engines. Joint development and production will give Opel the scale needed to build the models profitably, Neumann said. “All of our big-selling cars, the Corsa, Astra, Insignia and Mokka, sit on high-volume global platforms from General Motors. The only two I could not put on such global platforms were minivans,” Neumann said. The new Zafira will be built at PSA’s plant in Sochaux, France, while the Meriva replacement will be produced at Opel’s factory in Zaragoza, Spain. Sales of the two models are flagging as buyers increasingly switch to SUVs and crossovers. Zafira sales in Europe fell 11 percent to 85,386 last year, according to market researchers JATO Dynamics. Meriva sales were down 27 percent to 56,936. Neumann said that an early plan to also develop a replacement for the Corsa subcompact with PSA had been a mistake. The next-generation Corsa will use a Chevrolet platform, he said. “If I have a GM platform I would rather use that because then I can use all our engines and our technology,” he said. GM abandoned plans to build the next Corsa subcompact on PSA’s platform that underpins the Peugeot 208 and the next Citroen C3. Media reports have said that the Corsa, due in late 2018, will share a platform with the Chevrolet Sonic/Aveo, Buick Encore and Opel Mokka models. Opel is launching 23 new or redesigned models and 13 new engines as part of its Drive 2022 to turnaround the brand. Last year, GM lost $844 million in Europe, down from $1.94 billion in 2012. GM aims to return to profit in Europe by 2016. A new version of Opel’s No. 2 seller, the Astra compact, will launch in late 2015. The Astra will remain on a GM global platform, as was always planned. The brand’s flagship, the Insignia, will be replaced in 2016, underpinned by a GM global platform shared by models such as the Buick Regal and LaCrosse sold in the United States and China. Opel and PSA originally planned to co-develop the new generations of the Insignia and Peugeot 508. It is unclear whether the Opel Antara compact SUV, a sibling to the Chevrolet Captiva built by GM Daewoo in Korea, will have a successor model.